Canadian volunteer with the People's Protection Units (YPG) Nazzareno Antonio Tassone was killed in operation to retake the city of Raqqa from the Daesh terror group, according to official statement. WASHINGTON (Sputnik) — Nazzareno Antonio Tassone, a Canadian-born volunteer with the People's Protection Units (YPG), was killed fighting the Islamic State, also known as Daesh, in western Raqqa, the YPG said in a statement on Tuesday. "Canadian YPG volunteer Nazzareno Antonio Tassone lost his life during clashes against ISIS [Islamic State] terrorists in the Raqqa campaign," an English translation of the statement said. Tassone left Edmonton for Syria in June, according to reports. The YPG is one component of the US-backed Syrian Democratic Forces currently fighting to retake the city of Raqqa from the Daesh terror group. The statement announced also the death of a United Kingdom citizen, Ryan Lock, in the same operation. Both men were part of the operation to recapture Raqqa from the Islamic State since it launched in November and were killed near the city on December 21, the YPG said. 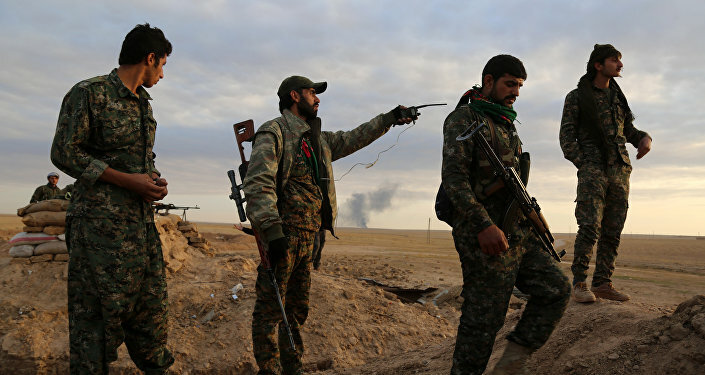 At least 20 other foreign volunteers are believed to have died fighting alongside Syrian Kurds against the Daesh. Tassone, who was born in Newmarket, Ontario, is the second Canadian killed fighting with the YPG. John Gallagher, a former Canadian soldier, was killed by an Daesh suicide bomber in November 2015.